I hope you are prepared for this post. I think it is the best sale DaySpring has ever offered here on The Mom Creative. No joke. In the next month, we celebrate three birthdays in our immediate family – Adeline’s (June 23), Elias’s (July 12) and mine (July 27). We also celebrate six more in my extended family – my Aunt Sandy’s (tomorrow), cousin Lisa’s (July 6), Aunt Debbie’s (July 20), brother-in-law Dan’s (July 25), niece Jill’s and my Grandma’s (both July 31). Because I have birthdays on the brain, I asked my friends at DaySpring if we could do a big birthday blowout sale on their retired Ever Grateful cake stands . They only have a few hundred left and I asked what was the lowest price they could offer them. I asked them to go lower. 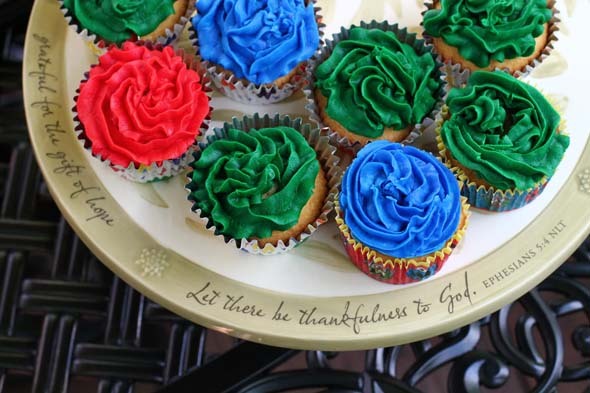 The Ever Grateful cake stand is regularly $35.99 and is currently marked down to $17.99. However, get it for just $7.19 when you use the coupon BDAY60. That’s 80% off and a STEAL! You can also use this coupon on all other Ever Grateful clearance items – YEOW! More about these items in a minute. I love, love, love cake stands . I keep one on my counter all the time to keep whatever sweet I have baked that week. 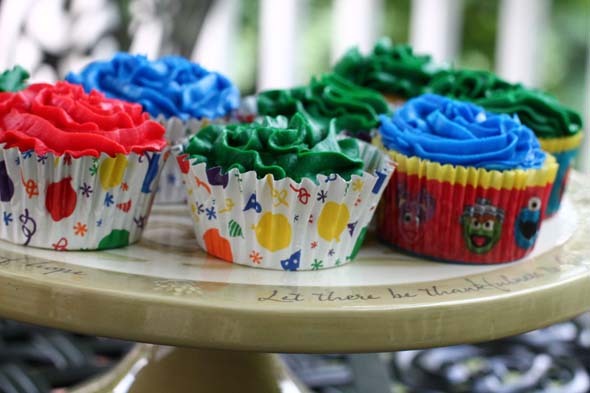 This week featured leftover cupcakes from Adeline’s birthday party. (My friend Julie, who has an amazing cooking/baking blog, also does this.) Cake stands are great for serving and entertaining too. The Ever Grateful cake stand is beautiful. It’s heavy, hand-painted and very neutral. Around the stand it says: grateful for God’s abundant grace…grateful for life’s simple joys…grateful for God’s unfailing love…grateful for the gift of hope… Let there be thankfulness to God. It would go in any home and be used for many years to come. When I tested the coupon, I realized you could use it on all Ever Grateful items. I thought it was a mistake at first, but DaySpring decided to be extra generous. Y’all!! Check out these additional deals. 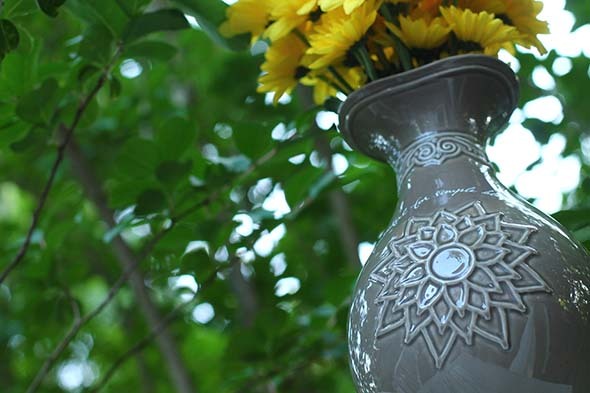 Ever Grateful – 10″ Taupe Vase : This is one of my favorite DaySpring items EVER! I have given one to just about every friend and family member I have. I’m freaking out over the price. If cake stands aren’t your gift of choice, these vases should be. Ever Grateful – 12″ x 17″ Large Platter : This is another great value item and would be a lovely gift. As someone who entertains a lot, I know that you can never have enough platters! Ever Grateful – 11″ Taupe Dinner Plate : This is insanity. You can get a whole new set of dishes for next to nothing! Ever Grateful – 9″ Taupe Salad Plate : If you don’t need dishes, consider getting a stack of these to use for when you give cookies to someone. What a beautiful gift! Ever Grateful – 6″ Taupe Bowl : I can’t get over these prices! You could buy 4 and give them with some ice cream for a thoughtful housewarming or hostess gift. Ever Grateful – Taupe Mug : Pick up a bunch of these to have on hand for gifts. Add some coffee or a Starbucks card and you are set! DaySpring has a limited supply of these items and once they are gone, they are gone, so don’t delay. If you want some, buy them now. This sale is good while supplies last, or until July 1. And as always on DaySpring , if you spend $50, you also get free shipping. I hope this sale helps you knock a bunch of gifts off you gift list. Jessica – I LOVE the dayspring sales. I am so grateful that you have introduced me to the website and their products. Whenever they have a great sale, I choose one item and buy enough for Christmas and/or birthday gifts every teacher, Sunday school teacher, grandmother, SIL, Mom, MIL, a few extra to donate, and one for me. (OF COURSE!) I can usually get all of those gifts for around $120 total. It really helps to stretch my gift budget and their products are amazing! Thanks Jessica and thanks Dayspring! These Dayspring deals are probably my favorite deals you share with us. Thank you for sharing this! We recently had a bunch of people from our church help us put a new roof on our house. We were so overwhelmed by all the generosity of others and I have been trying to figure out what kind of thank you gift to give. I just picked up 9 of the vases for $50 for all the women who brought food and/or watched our kids while we worked! Perfect!